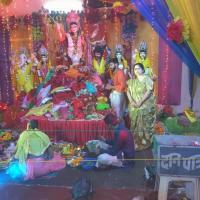 Festival in Bihar From the time immemorial India as a nation is known for colorful festivals. People celebrate and enjoy Breitling Navitimer Copy these festivals promoting love, harmony, brotherhood and peace. Bihar also has long list of festivals which are celebrated with gaiety and tolerance. Tourism in Bihar invites you all to enjoy the festivals in Bihar. Chatth Puja :Chatth Puja is a unique festival where the setting sun is worshipped in Bihar with reverence. With full tradition Chatth festival is celebrated twice a year once in Chaitra (according to the Hindu calendar) in March and in Kartik in November. 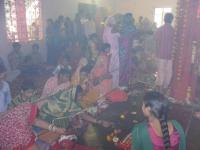 People especially women maintain sanctity and purity from one month ahead for this weeklong festival. Traditional folk songs are sung in the honour of ‘Surya Dev’ and ‘Chatti Maiyya’ in every village as well as town. Women fast for the good of their family and the society. On the eve before Chhath, houses are scrupulously cleaned and so are the surroundings. The ritual bathing takes place on Chhath eve and lasts at the crack of dawn on the sixth day after the festival of Diwali. Sama-Chakeva >> This festival is celebrated in the Mithila region of Bihar dedicated to the brother- sister relationship. It is time when birds migrate from the Himalayas to the plains heralding the beginning of this festival with the girls making and decorating clay idols of various birds. 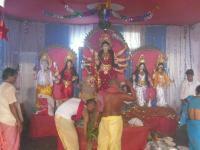 Sama-Chakeva represents the tradition of Mithilanchal as well as the art of making idols. This festival starts with the welcoming of the pair of birds sama-chakeva. People perform various rituals and the festival joyfully ends with the ‘vidai’ of sama and with a wish that these birds return to this land the next year. Ramnavami >> Ramanavami festival is celebrated with traditional reverence and gaiety in Bihar with people observing seven days fasts. This is the auspicious day when lord Rama was born. Temples dedicated to Lord Rama are beautifully decorated and special prayers are carried out. Makar-Sankranti >> This festival marks the end of winter and beginning of the summer season. It is also known as Tila Sankranti. Every year it is observed on the 14th of January. 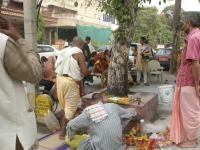 People celebrate it by giving offerings to the poor. Bihula >> This festival is celebrated in the Eastern Bihar especially famous in Bhagalpur district. 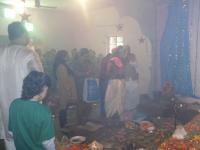 People pray to goddess Mansa for the welfare of their family. Madhushravani >> Madhushravani is celebrated in the month of Sawan (Hindu calendar August all over Mithilanchal in Bihar with enthusiasm and reverence. Buddha Jayanti >> On Buddha Jayanti in the month of Vaisakh (April/May), Buddhists from India and abroad throng to Bodhgaya and Rajgir. Mahavir Jayanti >> There are two major Jain festivals: Mahavir Jayanti (April) which is celebrated with great pomp on Parasnath hill and Deo Diwali (10 days after diwali) which marks the final liberation of Lord Mahavira in Bihar. Saurath Sabha >> Every year for Luxury Fake Watches a fortnight in June, the village of Saurath in Madhubani district witnesses a unique gathering of Mithila Brahmins from all over India.It is called Saurath Sabha and is the biggest marriage market. Parents of marriageable children bring horoscopes and negotiate marriages in a vast mango grove.